In the inaugural issue of HAARTbeat, we explained how the HAART 300 device was developed from CT angiography studies of normal aortic valves and is designed to create normal three-dimensional annular shape based on leaflet sizing. In BAV disease, there is no such thing as “normal” annular shape and the presentation of the anatomy can be highly variable. Notice in the left image that the BAV annulus dilates in the sinus-to-sinus direction which drags the leaflets out of coaptation. It’s also important to note in the Modified Sievers Classification, that 88% of BAV are Type 1, with a cleft in the free edge of the fused leaflet and an angle between the commissures of ~140° instead of 180° as with the Type 0 BAV. The design challenge for the HAART 200 was to produce a device with the best shape for reducing and stabilizing the annular dimensions for all classifications while facilitating and simplifying leaflet reconstruction. To address this complex geometric problem, the HAART 200 was designed with a circular base geometry and two subcommissural posts spaced 180° apart around the circumference. As shown in the image below, this shape has several distinct advantages and dramatically simplifies BAV repair. Circular shape reduces the sinus-to-sinus dimension to pull leaflets into the midline for improved coaptation. 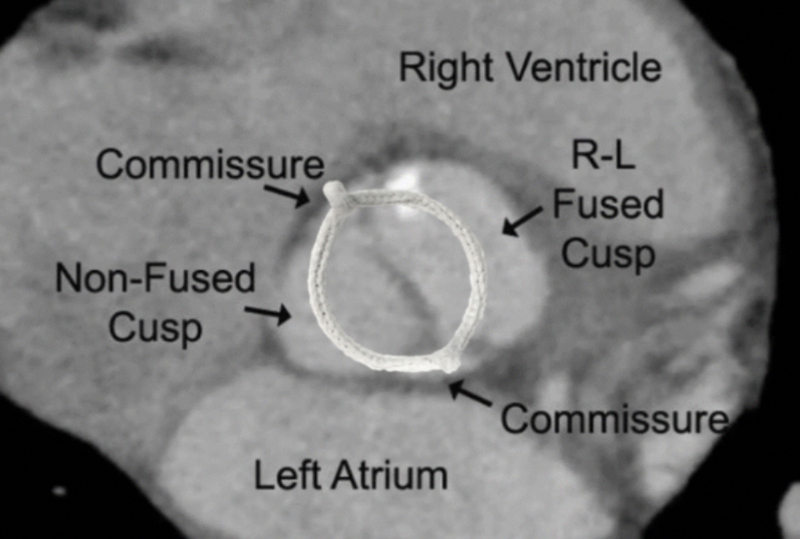 Subcommissural posts create a 180° commissure orientation for simplifying leaflet reconstruction and creating central transvalvular flow. Sizing is standardized and based on the non-fused leaflet (Diameter = Leaflet free-edge length/1.8). Internal annuloplasty avoids root dissection and coronary reimplantation and facilitates selective sinus replacement. These features are very valuable since most BAV patients have normal sinus dimensions, making a David procedure unnecessary and controversial. 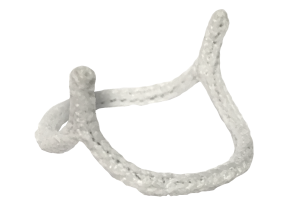 The HAART 200 Aortic Annuloplasty Device is a significant advance in the treatment options available for patients with BAV insufficiency. Check out Dr. Scott Rankin’s EACTS presentation featuring three BAV cases that demonstrate the functionality of the H200 and the predictability it brings to bicuspid valve repair.